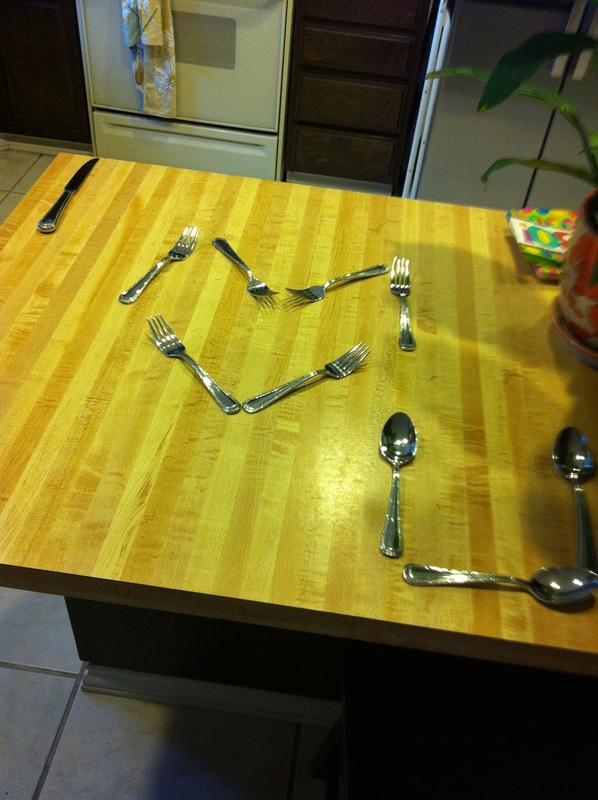 This is what I woke up to this morning…he’s so creative! Why yes, that is 1978 laminate! Don’t be jealous! Did you know P31 is an acrostic poem? Each line starts with the next letter of the Hebrew alphabet. Which got me thinkin’……hmmmmm….I wonder what my acrostic would look like? N ever ever leaving me. Happy Friday, loves! What does your acrostic look like (and does it include salsa)? This entry was posted in Uncategorized and tagged wifey on February 8, 2013 by Amy Barnes.